Scripps Mercy Hospital San Diego will be the largest project. Scripps Health has revealed its construction plan for updating its five hospital campuses, the largest building project the San Diego-based health system has ever undertaken. The project is designed to accommodate trends in healthcare, such as flexible room layouts for new technology and equipment. Scripps also plans to gear its acute-care hospitals toward the most seriously ill as more people receive outpatient care. Nurses will be stationed closer to patients and have more direct access to supplies. "This is our vision to build the healthcare system of the future—starting today," Scripps President and CEO Chris Van Gorder said in a statement. "Our focus is on delivering the right care in the right setting that reflects the changing healthcare needs of the communities we serve across the San Diego region." 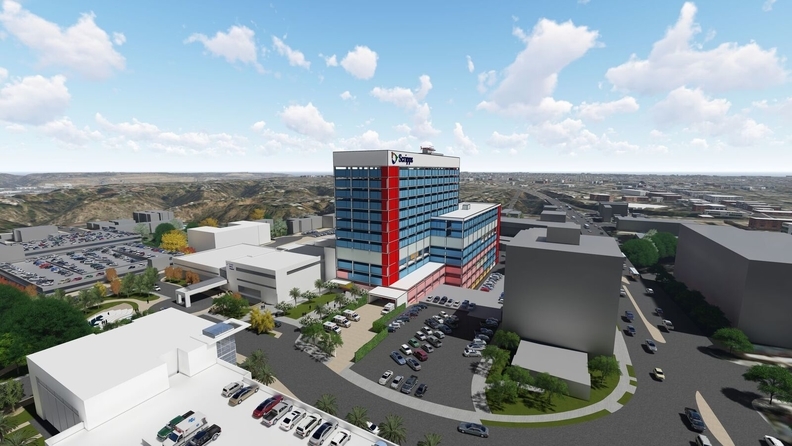 Scripps Mercy Hospital San Diego will be the largest project, including a 710,000-square-foot tower to replace its current acute-care building. The tower will be finished in 2027. Scripps Memorial Hospital La Jolla will get a new, smaller tower to house a women's health center. Both Scripps Mercy Chula Vista and Scripps Green Hospitals will undergo seismic retrofitting to the acute-care buildings. Scripps Memorial Hospital Encinitas will build a new acute-care building as well as a new medical office, while other buildings get seismic retrofitting. All hospital construction is expected to be completed before 2030. Outside of the hospital campuses, Scripps plans to build two outpatient cancer centers and a new primary- and specialty-care clinic.